The Glasgow School of Art is widely considered to be Mackintosh's Masterwork. For over 100 years the Mackintosh building has functioned as a working art school, housing the fine art students and staff, sitting at the heart of GSA's campus on Garnethill. On the 23d of May 2014 a fire damaged the west wing of the Mackintosh Building including some studios, the Library and some archival stores. On the 15/16 June 2018 during restoration work the Mackintosh Building was ravaged by a devastating fire leaving a burnt out shell. We are still shell-shocked after seeing the destruction caused by the second fire. 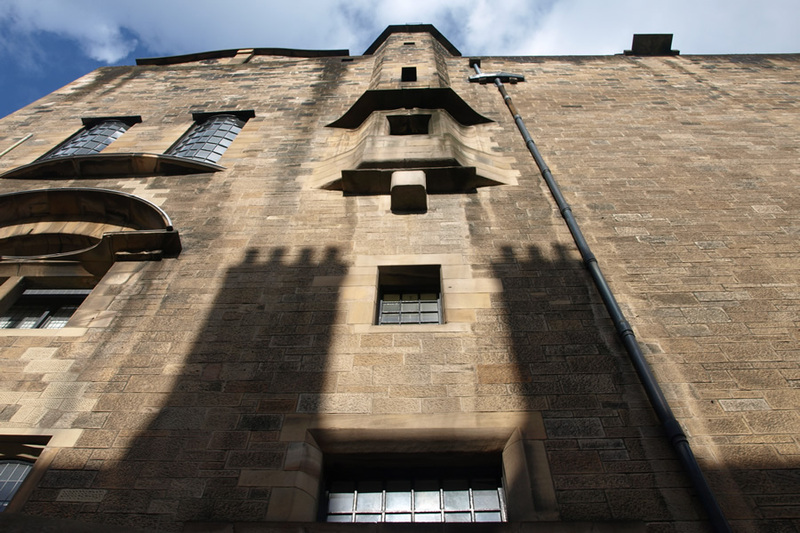 Mackintosh’s creation at the Glasgow School of Art is one of those rare works of architecture to transcend time: an inspiration for the present and the future. The loss is immeasurable. Following the fire in the neighbouring Mackintosh Building, The Glasgow School of Art visitor centre, shop and exhibition spaces in the Reid building will be closed to visitors until 1st October 2018. Mackintosh at the GSA Tours and Mackintosh’s Glasgow Walking Tours will also cease to operate during this closure period. GSA’s visitor centre provides a ‘Window on Mackintosh’, with models, photographs, films, animations, drawings and records detailing this famous building’s design and inception by celebrated architect and GSA’s most revered alumnus – Charles Rennie Mackintosh. This permanent exhibition showcases the Schools rich history since its opening in 1845, with original artefacts, student work and records from GSA’s archives and collections. Visit the GSA Shop for a wealth of creative treasures and mementos. Invest in contemporary jewellery, accessories and homeware designed by students, staff and alumni and unique gifts inspired by the Mackintosh building and the history of The Glasgow School of Art. View contemporary exhibitions in the Reid Gallery at The Glasgow School of Art. Please see website for current exhibitions and opening times. We recommended making a reservation, book online, call +(0)141 353 4584 or visit the GSA at 164 Renfrew Street to reserve your tickets. 45 minutes, 7 days, all year round, including bank holidays (excluding festive closure). Every purchase supports the School. Please note there are many stairs on the tour route. Lift access is available at 11.30am, please book online and add lift access to your order. Train: 10 minute walk from Central & Queen Street stations. Underground: 5 minute walk from Cowcaddens station. Bus: 16, 18, 44 & 57 stop on Bath Street, 2 minute walk. Car: 2 minute walk from Cambridge Street car park. Taxi: 2 minute walk from Sauchiehall Street taxi rank.